What's in Your Heart? It is a study of character. Each chapter will challenge and encourage self-examination of character attribute, value, or guiding principle that one may want to own. Character attributes examined in the book are defined and scripture references are used. Personalities from the Old Testament (OT) and the New testament (NT) are examined and discussed as examples of the character attribute being studied—from Jacob to Jonathan in the OT and from Judas to Onesimus in the NT. 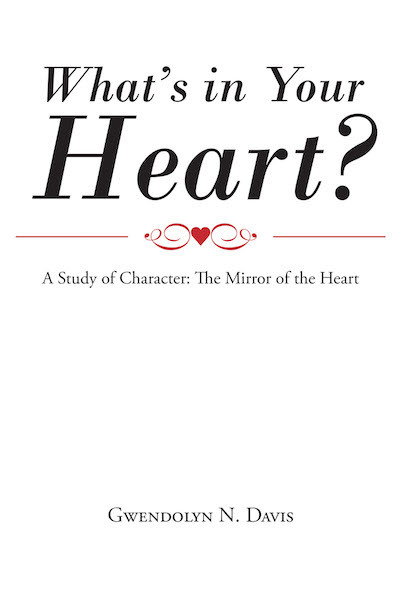 Challenge questions at the end of the chapters are designed to encourage self-examination of one's current character attributes, values, and or guiding principles. Individuals or groups are encouraged to take the challenge. It will serve all and help to improve interactions at home, in the community, in church, and at work.